David A. Brennen, dean of the University of Kentucky College of Law, joined UK in 2009 from the University of Georgia School of Law where he was a professor since 2006 and from the Association of American Law Schools (AALS) where he served a two-year term as deputy director. Along with more than 20 years of experience in the classroom, Brennen is regarded as an innovator in the field of nonprofit law as it relates to taxation. He is a co-founder and co-editor of Nonprofit Law Prof Blog, founding editor of Nonprofit and Philanthropy Law Abstracts, co-founder of the AALS Section on Nonprofit and Philanthropy Law and a co-author of one of the first law school casebooks on taxation of nonprofit organizations. Brennen received his bachelor’s degree in finance from Florida Atlantic University in 1988 and his law degree from the University of Florida College of Law in 1991, where he also received his LL.M. in tax law in 1994. In 2002, Brennen was elected to the American Law Institute where he is an adviser on its project titled, “Principles of the Law of Nonprofit Organizations.” Brennen has also served in leadership roles with AALS, the Society of American Law Teachers and the American Bar Association’s Section of Legal Education. Brennen began his career in legal education as an adjunct professor at Florida A&M University in 1994. He also taught as a professor at Syracuse University College of Law, the University of Richmond School of Law and Mercer University School of Law prior to his last position at the University of Georgia. In addition, Brennen taught as a visiting professor at the University of Alabama and Temple University. His law practice work began with Moody & Salzman, PA in Gainesville, Florida. He went to work with Bobo, Spicer & Ciotoli, PA in West Palm Beach, Messer, Vickers, Caparello, Madsen, Lewis, Goldman & Metz, PA in Tallahassee and the State of Florida Department of Revenue. He has been a member of the Florida Bar - Tax Section, American Bar Association - Section of Taxation and the National Bar Association. In addition, he has served on several boards and held many special appointments, including being appointed to American Bar Association Accreditation Committee, Southern Association of Colleges and Schools Reaffirmation Committee, and the boards of directors for Access Group and Hospice of the Bluegrass. THE TAX LAW OF CHARITIES AND OTHER EXEMPT ORGANIZATIONS: CASES, MATERIALS, QUESTIONS AND ACTIVITIES, 3rd ed. (with Jones, Willis and Moran) (Mathew Bender – 1st and 2nd editions with Thomson/West) (forthcoming 2014). BEYOND ECONOMIC EFFICIENCY IN UNITED STATES TAX LAW (Editor) (with Karen Brown and Darryll Jones), (Wolters Kluwer) (2013). A Normative Rationale for the Charitable Tax Exemption, BEYOND ECONOMIC EFFICIENCY IN UNITED STATES TAX LAW (Wolters Kluwer) (2013). Dean Brennen is one of two editors who work with a number of authors for 'Nonprofit Law Prof Blog'. June 29, 2018 - Alumni, family and friends gathered at the Lexington Hyatt Regency in June to honor the 2018 UK Law Alumni Association Hall of Fame Inductees, Alumni Awards winners and the Dean’s Circle Champion. “We had a great turnout for the event and continue to be amazed at the strong alumni connections that have been made here at UK Law,” said Stephen Milner, UK Law Alumni Association President. June 29, 2018 - Commencement brings joy, a sense of achievement and an overwhelming sense of community among all who have come together to honor and congratulate the graduates. This foundation of support was recognized by those who spoke at this jubilant event marking the culmination of not only three years of hard work, but also the strong relationships formed along the way. Building on the strong foundation of a UK Law education, 106 graduates celebrated their great accomplishment with family, friends, faculty, staff and now fellow alumni at the Singletary Center for the Arts. Much like University of Kentucky College of Law students, former U.S. Attorney General Eric Holder, the first African American to hold that office, saw law as a way to make an impact. "Through law and working through the system I thought I could be a force for change," he said Tuesday evening on campus. University of Kentucky College of Law Dean David A. Brennen was featured during “UK at the Half,” which aired during the UK vs. Louisville men’s basketball game, broadcast on radio Dec. 29. Dean Brennen discussed employment rate of graduates, rankings and UK Law’s major rebuild and expansion project. On your mark, get set, go! On Sunday, October 15, the UK Law Wellness Initiative, a student organization at the University of Kentucky College of Law, held their second annual Race Judicata 5K at Wellington Park to promote a healthier law school community among students, faculty and staff. Approximately 50 participants laced up their running shoes and crossed the 5K finish line, while additional spectators cheered them on along the route. The Hon. Neil M. Gorsuch, Associate Justice of the Supreme Court of the United States, spent Thursday evening on the University of Kentucky campus. He spoke to University of Kentucky College of Law students as well as judges, lawyers and clerks from across Kentucky. The University of Kentucky College of Law began a new chapter with a ceremonial groundbreaking this morning on Mandrell Hall's front lawn, across the street from the Law Building, now undergoing construction. UK President Eli Capilouto and UK Law Dean David A. Brennen were joined by students, faculty, staff, donors and alumni in unveiling details of the $56 million building renovation and expansion project. The college revealed the architectural plans, as well as launched its new building campaign, "Raising the Bar, Together." Every spring, the University of Kentucky College of Law hosts its commencement ceremony. Though the commencement format may rarely change, there is noticeable difference in seeing how each graduating class leaves its own unique mark. Friday, May 5, was dedicated to celebrating the Class of 2017. 113 eager law students walked across the stage in the Singletary Center for the Arts ready to claim their award for three years of hard work: a UK Law diploma. University of Kentucky College of Law students as well as judges, lawyers and clerks from across Kentucky were provided an extraordinary opportunity on February 1, as the Hon. John G. Roberts Jr., Chief Justice of the United States, visited the UK campus. Chief Justice Roberts was here as the first speaker for the newly established John G. Heyburn II Initiative for Excellence in the Federal Judiciary. The University of Kentucky College of Law’s TAB Mock Trial team of Ben Harris and Caleb Taylor won the 2016 Kentucky Intrastate Mock Trial Competition, held November 17-20 at the University of Louisville Louis D. Brandeis School of Law. Ollen B. Hinnant II (UK Law ’55), who passed away at the age of 85 on August 4, 2016, left behind three children and one grandson. But, he also left behind an enduring legacy at the University of Kentucky College of Law as the first African-American student to graduate from the law school. A native of Lexington and a 1952 graduate of Kentucky State University, Hinnant helped change the course of the institution and the Commonwealth. The University of Kentucky College of Law has been ranked #21 of the 50 best law schools in America (#6 among public schools) by Business Insider, the largest business news site on the web. Ready, set, step up! Faculty and staff at the University of Kentucky College of Law put fitness first this summer during the LiveWell college/division Step Up challenge – a friendly competition to reach the highest group step average at the University of Kentucky. And UK Law didn’t tread lightly, earning third place out of 30 teams across campus. The team, made up of 16 participants with a motivation to move, averaged 11,261 steps per day during the 42 day span. On Friday, May 6, the University of Kentucky College of Law held its Commencement Ceremony to honor and celebrate the Class of 2016. 146 eager and remarkable law students walked across the stage in the Singletary Center for the Arts ready to claim their award for three years of hard work: A UK Law diploma. “Today is a day of joy – for graduates and for all of us here today. We all share your sense of accomplishment, your sense of relief, and your sense of anticipation about the future,” said David A. Brennen, Dean at UK College of Law. The University of Kentucky College of Law has upped its ranking game in the Spring 2016 issue of preLaw, a National Jurist publication. With a solid score of 98.15, UK Law was named one of the most diverse law schools based on state averages, according to a new study. The Oklahoma Legal Blog recently featured an interview with UK Law Dean David A. Brennen. Part of the blog can be viewed below, to read the interview in its entirety, please click here. Nelson Mandela once said, “Education is the most powerful weapon we can use to change the world.” Two administrators at the University of Kentucky College of Law are encouraging students at the Carter G. Woodson Academy to put Mandela’s quote into action and make a difference through pursuing educational opportunities after high school graduation. So, you are contemplating law school. Wouldn’t it be nice if you could get a first-hand look into law school during your undergraduate studies so you could be more informed when it’s time to make that important decision? The UK Law Black Law Students Association (BLSA) has done just that for prospective students. I am pleased to announce the UK Board of Trustees has approved the next phase of renovating and expanding the UK Law building. During the “design phase” of the project, the University will retain an architecture firm to create a detailed vision of what the future of UK Law will look like. The University of Kentucky College of Law has been named the 9th Best Value Law School in the nation by National Jurist magazine. This is the 11th consecutive year that UK Law has been ranked in the “Top 20” and the seventh consecutive year in the top 10. UK Law was the only Kentucky law school ranked in the Top 20. So, you matriculated into law school. What’s next? How do you prepare for your new reality of reading cases and making outlines? What is an outline anyway? What will classes be like? Will you get along with your classmates? These are questions that pass through the minds of all first year law students in some form or fashion. And University of Kentucky College of Law has developed a program to help our incoming students answer these questions and more, prior to their first day of law school. September 28, 2015 The University of Kentucky College of Law has a history of bringing the legal profession's most distinguished figures to campus for students to meet with, and this year is no exception. The University of Kentucky College of Law is pleased to welcome U.S. Supreme Court Justice Samuel Alito to campus next week as the Fall 2015 Roy R. and Virginia F. Ray Distinguished Lecturer. Justice Alito will speak at 6 p.m. Thursday, Sept. 24. Upon recommendation of Dean David A. Brennen, eight third-year UK Law students were selected as Pupils of the Central Kentucky American Inn of Court (CKAIC) for 2015-2016. This year’s list of pupils include Ian Archibald, Alissa Bocook, Rachel Hepburn, Zachary Mattioni, Charles Otten, Andrea Reed, W. Austin Smith II, and Misty Stone. The Inn of Court is an educational and mentoring organization for judges, lawyers and law students dedicated to perpetuating high quality, ethical lawyers and enhancing professionalism and collegiality among the bench and bar. Faculty and staff of the University of Kentucky College of Law recently conducted a book drive to provide law books to the Carter G. Woodson Academy. The drive proved to be a success as the law school delivered an overflowing tote full of books to the Academy. The Class of 2015 was the first class to participate in the newly created UK Law Legacy Program. The class raised more than $1,000 as part of a pay-it-forward initiative to build a philanthropic spirit while students are still in law school. On Friday, May 8, 2015, the University of Kentucky College of Law held its Commencement Ceremony for the Class of 2015. Family and friends gathered in the Singletary Center for the Arts to honor and celebrate the graduating students. 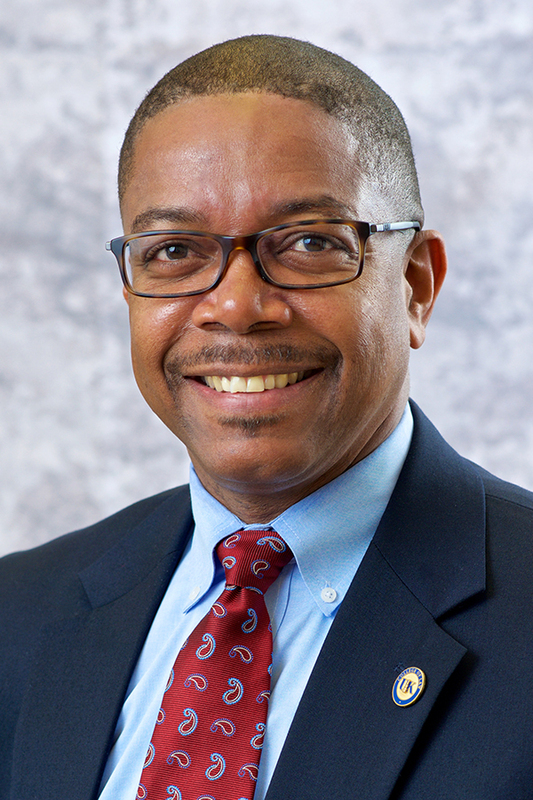 LEXINGTON, Ky. (Feb. 11, 2015) — David A. Brennen, dean of the University of Kentucky College of Law, has been named to the Lawyers of Color's Fourth Annual Power List, a comprehensive catalog of the nation’s most influential minority attorneys and non-minority diversity advocates. Dean Brennen will be profiled in the Lawyers Of Color's Power Issue 2015 and honored at a reception March 18 in Washington, D.C.